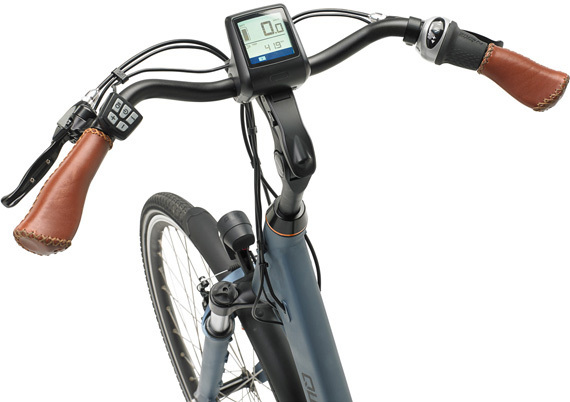 The MN7 VV is a city bike designed for affordability and ride comfort for commutes across town. If you're looking for an electric bike with superb design and build quality that won't break the bank - look no further. 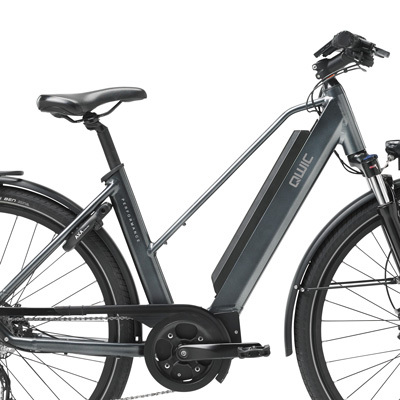 An award winning Bafang mid engine motor delivers 80Nm of torque and quiet ride, with the sprung seat post and front fork suspension ensuring all bumps are smoothed out along the way. A superbly crafted frame, the aluminium has been hand finished to smooth down all welds. The "Comfort" style makes it easy to get on and off the bike with a clear step through design. A rear wheel lock is fitted as standard to prevent movement or theft - perfect for quick stops at the shops! 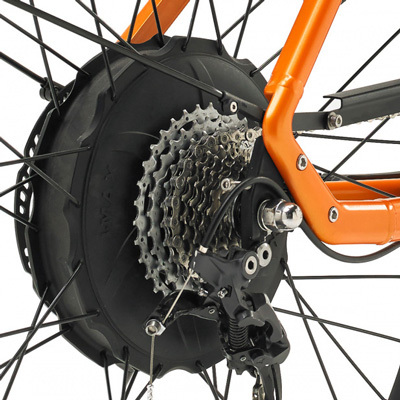 Deore V-Brakes are fitted front and rear, which are easy to maintain and provide excellent control for city riding. Small 46cm (18") 5'6" - 5'8"
Medium 49cm (19") 5'8" - 5'10"
Large 54cm (21") 5'10" - 6'1"
The MN7 VV is the ultimate entry level Premium electric bike. The clear display gives information on battery, range, and distance travelled. Power modes and headlight can be easily selected using the left hand control buttons. 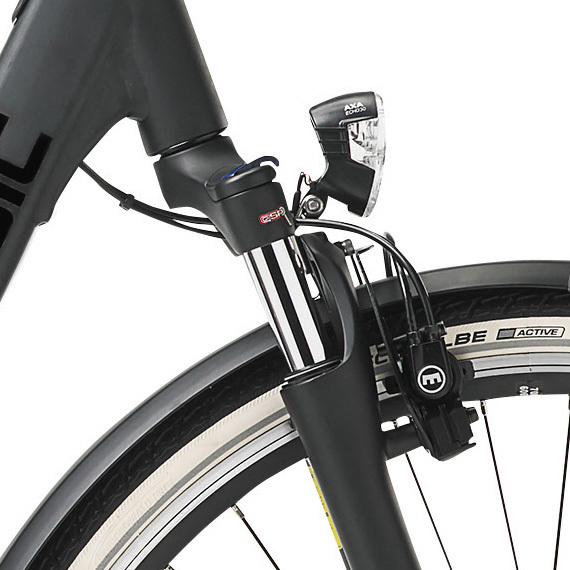 In true Dutch design, the rear wheel has an integrated lock, letting you quickly secure your bike. 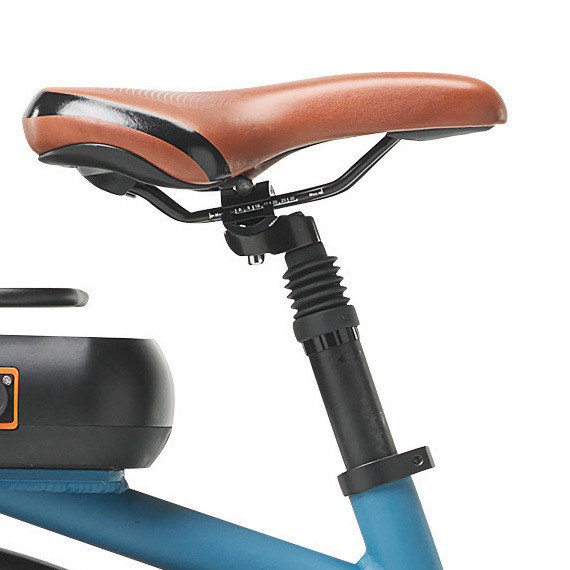 Designed for city living, this rear "ring lock" lets you lock your bike quickly without having to chain to a lamppost. Perfect for those quick errands into shops. The adjustable front fork provides suspension and lock-out function, letting you adjust the ride style and comfort level to your preference. An integrated front light draws power straight from the battery giving maximum illumination at all times. This powerful light will make you visible to other road users while illuminating your path. The award winning Bafang mid motor smoothly delivers power, with an inbuilt gear sensor. Delivering 80Nm of torque, it will carry you up hills and then some! 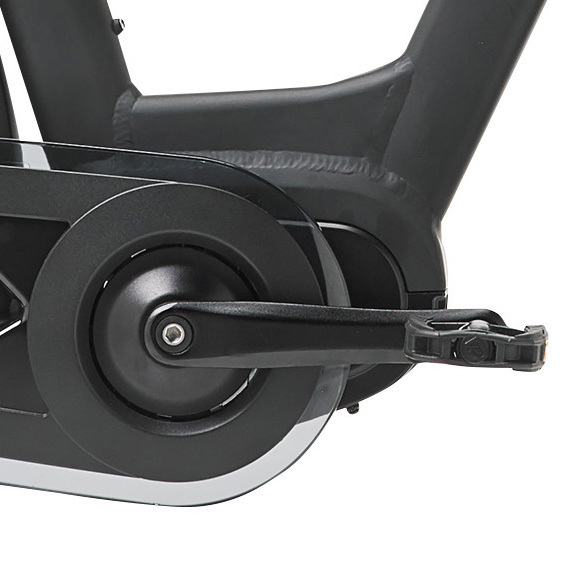 An integrated switch sensor gives clean and smooth gear changes, even when peddling. The close chain system provides a near maintenance free experience, while operating extremely quietly. 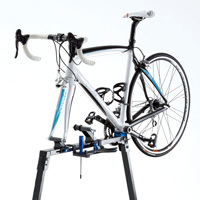 The saddle post suspension absorbs knocks and bumps as you go, giving a smooth and comfortable ride. The detailed stitching on handles and seat give an additional level of style. Four battery options give an impressive range, and an built in brake light lets other road users know your actions clearly. The battery is easily removed for charging in the office, cafe or at home. 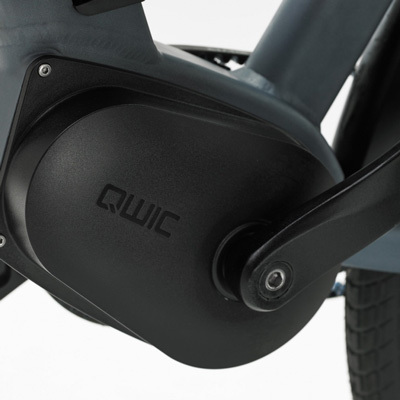 QWIC are a leading Dutch electric bike company who have strong presence in Germany, Belgium and the Netherlands. Driven by a desire to take more cars off the road and replace them with high quality electric bikes, their focus is on sustainability, design and craftmanship. 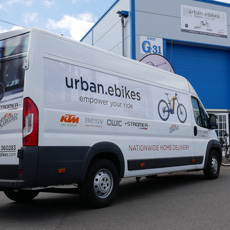 Their research showed that 50% of all car journeys undertaken are below 5 miles - the perfect distance for an ebike to undertake. With traffic often slow moving in city centers, bikes are not only greener but also quicker than the car. 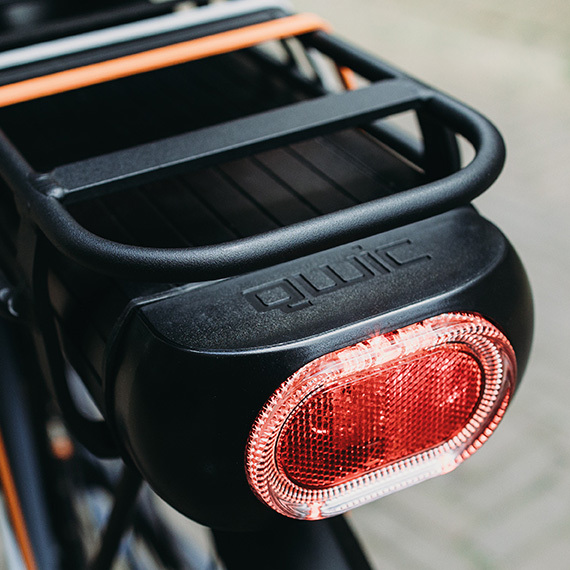 QWIC's philosophy is that electric bikes should not only be well made, sustainable and innovative, but also fun.